This data set describes a harmonized set of soil property estimates for the Upper Tana river catchment, Kenya. The data set was derived from the 1:250 000 scale Soil and Terrain Database for the Upper Tana (SOTER_UT, ver. 1.1; Dijkshoorn et al. 2011) and the ISRIC-WISE soil profile database, using standardized taxonomy-based pedotransfer (taxotransfer) procedures. 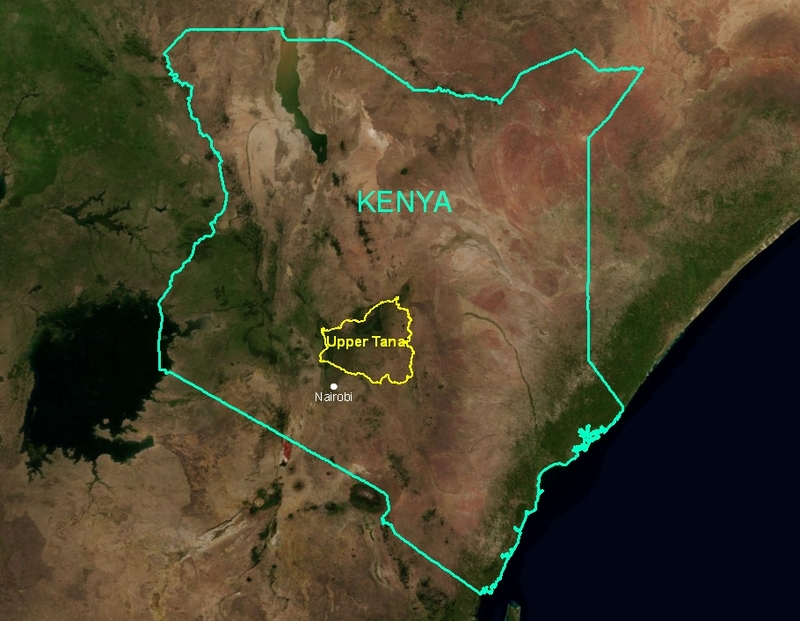 The land surface of the Upper ... Tana, Kenya, covering some 18,900 km2, has been mapped in SOTER using 191 unique SOTER units. Each map unit may comprise of up to three different soil components. In so far as possible, each soil component has been characterized by a regionally representative profile, selected and classified by national soil experts. Conversely, in the absence of any measured legacy data, soil components were characterized using synthetic profiles for which only the FAO-Unesco (1988) classification is known. Soil components in SOTER_UT have been characterized using 146 profiles consisting of 109 real and 37 so-called synthetic profiles. The latter were used to represent some 18% per cent of the study area. Comprehensive sets of measured attribute data are seldom available for most profiles (109) collated in SOTER_UT, as these were not considered in the source materials. Consequently, to permit modelling, gaps in the soil analytical data have been filled using consistent taxotransfer procedures. Modal soil property estimates necessary to populate the taxotransfer procedure were derived from statistical analyses of soil profiles held in the ISRIC-WISE database. The current taxotransfer procedure only considers profiles in WISE that: (a) have FAO soil unit names (43) identical to those mapped for the Upper Tana in SOTER, and (b) originate from regions having similar Köppen climate zones (n= 5745). 2) Dijkshoorn JA, Macharia P, Huting J, Maingi P and Njoroge C 2011. Soil and and terrain conditions for the Upper Tana river catchment, Kenya (Ver. 1.1), ISRIC Report 2010/09b, Kenya Agricultural Research Institute (KARI) and ISRIC – World Soil Information, Wageningen, pp 35 + data set. 4) Immerzeel W, Huting JRM, Mantel S, Van Lynden G, Maingi P, Muchena F and Kamoni PT 2007. Green and blue water resources and assessment of soil and water management scenarios using an integrated modelling framework, IIED, SEI, IFAD, SADC, LEI and ISRIC, Wageningen. e2af1672-ab22-4fdf-909f-81fb586268dc Access to the portal Read here the full details and access to the data.